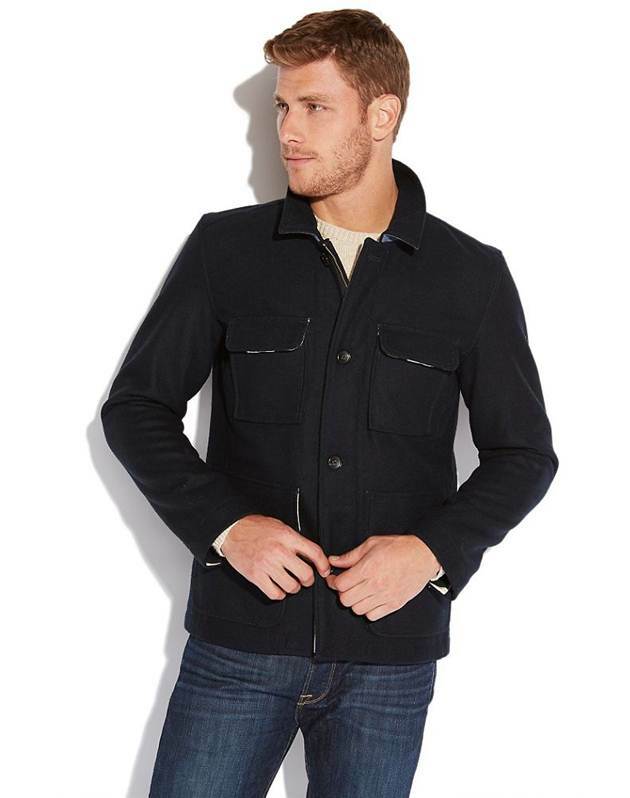 This navy-style jacket in premium wool is ideal if you want to be in style this Winter! 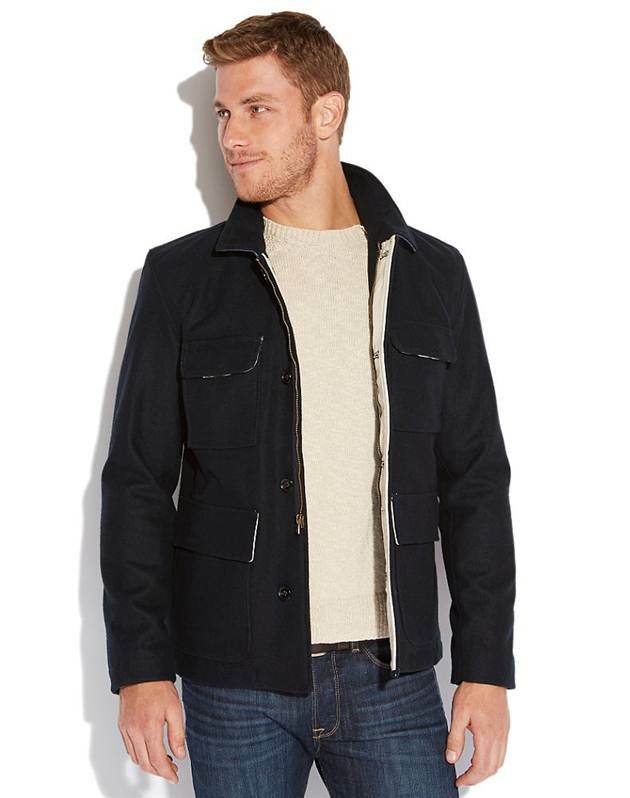 With its many interior and exterior pockets this jacket is practical, comfortable and will keep you warm. 1. Fill a sink with lukewarm water and a few drops of mild detergent. Add 3/4 cup of white vinegar to neutralise perspiration odour. Immerse the sweater or jacket, and move around gently, taking care not to stretch it. Soak for 10 minutes. 2. 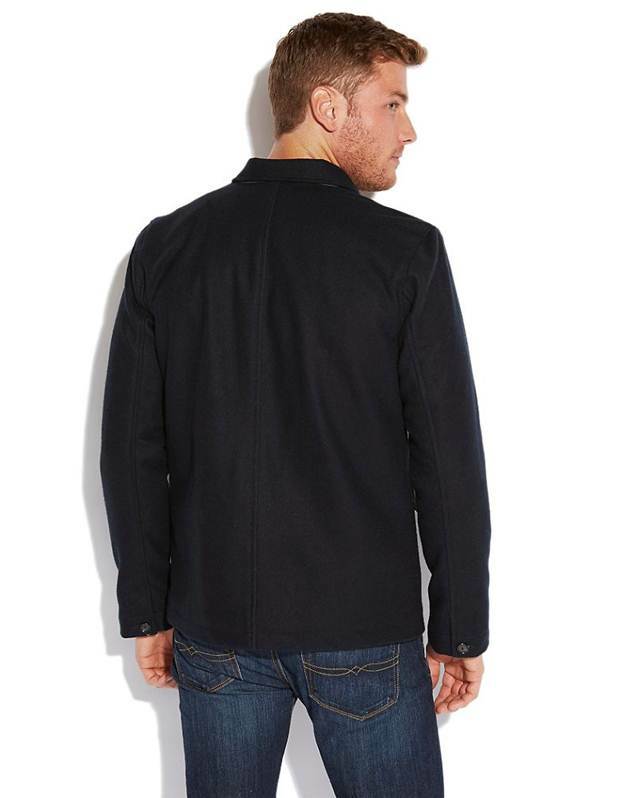 Gently gather up the garment and squeeze out the water without wringing or stretching it. Discard water and refill the sink with clean, lukewarm water. Place the sweater or jacket in the sink and swish to rinse (avoid putting it directly under running water; the pressure can stretch it.) Repeat with clean water until the detergent is gone. 3. After squeezing out the water, lay the sweater or jacket on a white towel on a flat surface (a white towel prevents dye transfer from the towel to the garment). Gently roll the towel and sweater together to remove moisture, squeezing and pressing as you go. Dry the garment on a flat, moisture-resistant surface, preferably mesh, which lets air circulate. Keep it out of the sun and away from heat.